Information reaching this news-desk is that she was essentially marginalised in the post of Communications Director, with the Dr. D Orlando Smith (AL) administration, contracting a number of consultants, to undertake responsibilities previously taken on by Ms Penn. 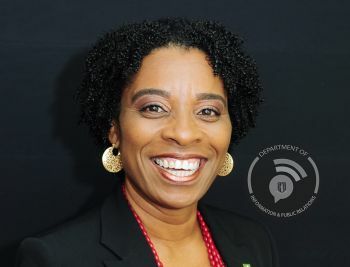 In her new capacity, Ms Penn will act as the head of the Office of the Governor's, Virgin Islands (VI) team, and will also now be tasked with ensuring the smooth operation of the Office and the supervision of the administrative staff and indirectly the staff at the Government House and the Old Government House Museum. This, in addition to assisting with the management of the Governor's public profile—through proactive planning and coordination of events, appearances and communications. Ms Penn was appointed Director of Communications in 2011, serving as Advisor to the Premier and other government officials including, heads of department and other senior public officers, House of Assembly members, statutory bodies and boards. As Communications Director, she also served as accounting officer and provided strategic leadership and advice to the Department of Information and Public Relations. Additionally, she also provided administrative and policy support to the Permanent Secretary, Premier’s Office in various areas including financial services, National Risk Assessment, immigration, international affairs, and tourism, among other areas. About time cause she was a waste of time. It's actually a promotion. Congratulations Mrs. Penn. It's an unexpected transfer from NDP movie to acting class to secure a post. Not well prep I may say but job security is a must since England bringing in its crew. Congratulations Ms Penn. May your opportunities in this role give you the chance to further develop your talents and skills. Thank you for your continued service to our territory. She was the worst Director of Communications ever. I hope she performs in this new post. Everyone always has the worst to say about people we have to do better. Good move Premier in getting this lady out who was embarrasing you and the NDP. Now watch how the Premier and NDP government will move. us military doesn't cruise up and push buttons. kind of thing the Governors' office ignores. When a ship is sinking the captain seeks to blame everyone else but himself. Despite the transfer of Mrs. Penn to the governor's office, the writing is on the wall for the government. I think this transfer is a blessing to her. It is about time for the electorates to choose another party to administer the affairs of this country because it will sink deeper into economic crisis. There seems to be a lack of vision in the government. For too long they are running around with no plan to make any progress. This is the only country that do not reshuffle its cabinet. Some ministers are sleeping and are doing the same things repeatedly with no success. It is time for new blood and new vision in the government. NDP MUST GO.